President Mugabe has appointed Deputy Chief Justice Luke Malaba as Chief Justice-designate with immediate effect. He will be sworn in as Chief Justice next week as he is out of the country on a Foreign Affairs assignment. Presidential spokesperson Mr George Charamba confirmed the appointment last night. 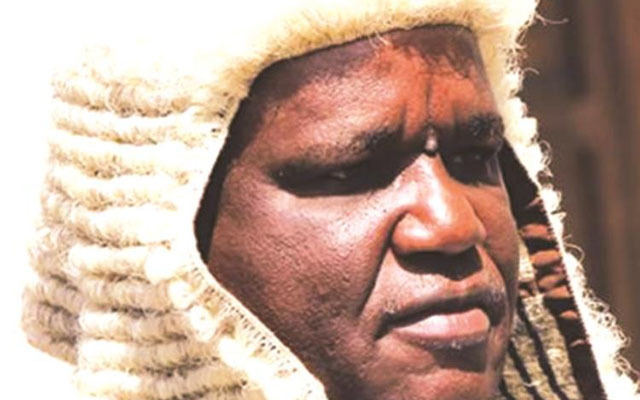 Deputy Chief Justice Malaba had been Acting Chief Justice since March 1 following the retirement of Justice Godfrey Chidyausiku. During the interviews in December, the Chief Justice-designate scored 92 percent, while JSC acting secretary Justice Rita Makarau garnered 90 percent and Justice Paddington Garwe came out third with 52 percent. Under section 180 of the country’s Constitution, the Chief Justice is appointed by the President from a list of three nominees selected by the JSC following advertisements and the holding of public interviews. In mid-October last year the JSC advertised the position extensively and invited the public including the President if he wished to nominate qualified persons. The names of Justices Malaba, Makarau and Garwe were submitted to President Mugabe for his consideration according the country’s Constitution. However, while the process was in motion, the High Court suspended public interviews for a new Chief Justice pending proposed amendments to the Constitution, but the JSC appealed the decision at the Supreme Court. Justice Charles Hungwe had barred the interviews following a successful application by University of Zimbabwe law student Mr Romeo Taombera Zibani to do away with the interviews and grant President Mugabe unfettered discretion to appoint a Chief Justice of his choice. However, the JSC appeal suspended the decision of the High Court. Justice Malaba was appointed Acting Chief Justice on March 1 this year and has served the judiciary for the past 35 years. He has been a judge of the High Court, Supreme Court and Constitutional Court. Chief Justice-designate Malaba handed down 50 judgments and 15 of them were reportable between 2013 and 2016. Justice Makarau has not been sitting in court for the past years hence the commission resolved to judge her by using the four years she was Judge President of the High Court. During that period, Justice Makarau handed down 88 judgments, 52 of which were reported in the Zimbabwe Law Reports. Justice Garwe in the past four years delivered 34 judgments, of which 14 were reported in the Zimbabwe Law Reports.